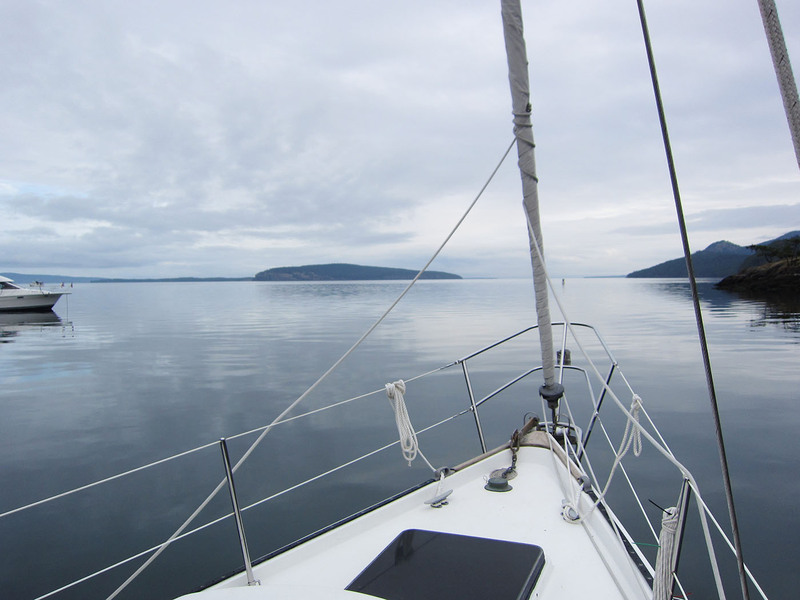 Sailing Around The Pacific Northwest! Back to the states! From Sidney, BC, we took a Washington State Ferry to Friday Harbor, WA. 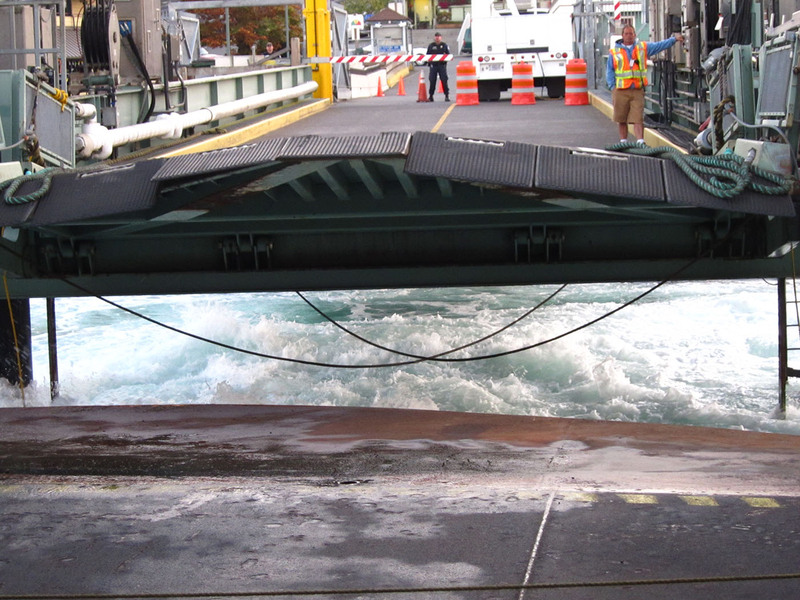 Ferry “walk-ons” (like us) stand at the front of the ferry as it comes in for landing at Friday Harbor. This is a photo just before the car ramp was lowered. That would be one icy jacuzzi! 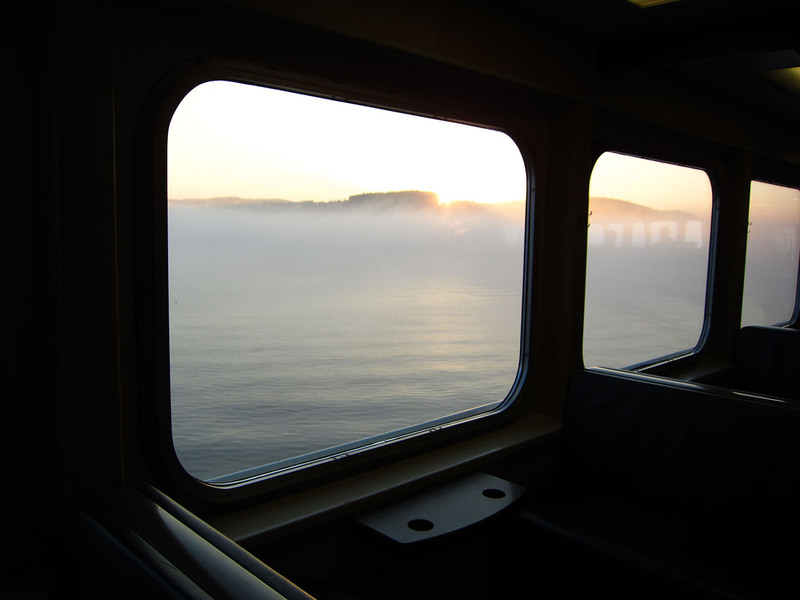 It was a foggy ferry ride! We were (once again) thankful we weren’t out in that milky mess! From town we hoofed it to the boatyard and boarded Carmana. We weary from our international travels and thankful to be back in our home on the water. Her new seawater pump was rearing for some action! 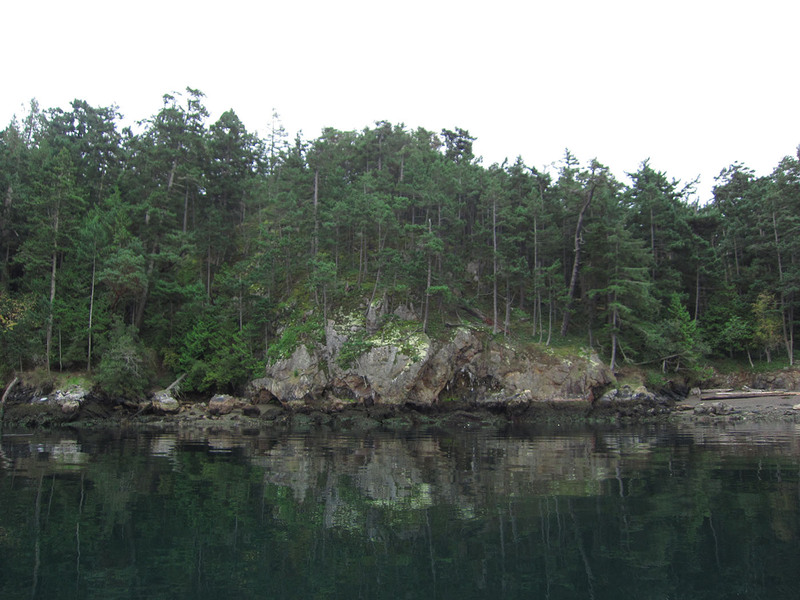 We happily obliged and headed to Jones Islands the next day. 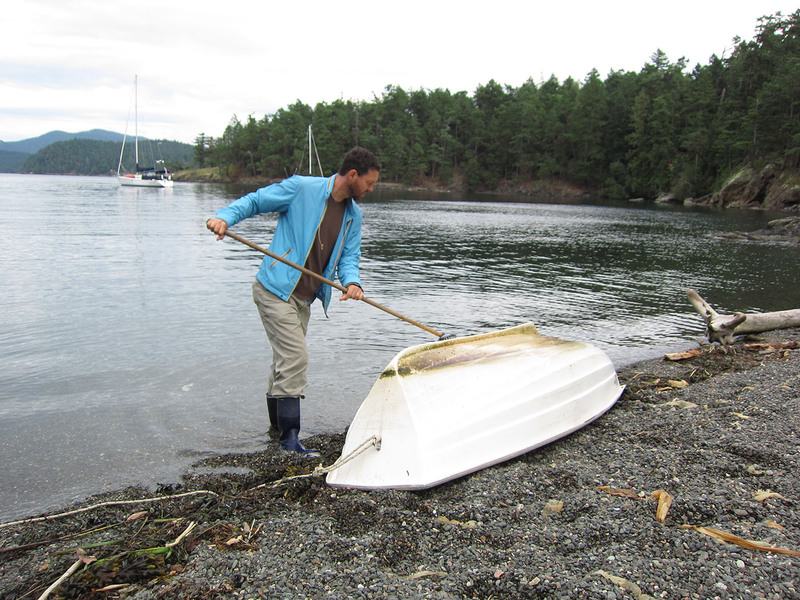 Several years ago, along with a few friends, Nik has on two occasions chartered a yacht and motored around the San Juan and Gulf Islands exploring cute towns and little coves. One of his most memorable moments from those brief trips took place off the shores of Jones Island where he watched as a man and his dog boarded their dinghy, pushed off from their cozy wood-stove-warmed sailboat and headed for shore. This was long before Nik and I knew each other and it was one of the first moments he welcomed the idea of a cozy sailboat of his own. Amid placid waters and islands thick with trees he dreamt of sailing around with a special someone (perhaps someone a lot like me), or at the very least, a very special dog. Needless to say, Jones Island has been on our ‘must visit list’ from even before we bought a boat and the small island did not disappoint. Boat hook in hand, I wrangled the mooring buoy and strung our bow’s dock line from the fairlead, through the eye of the buoy, and back up to be cleated on the bow. 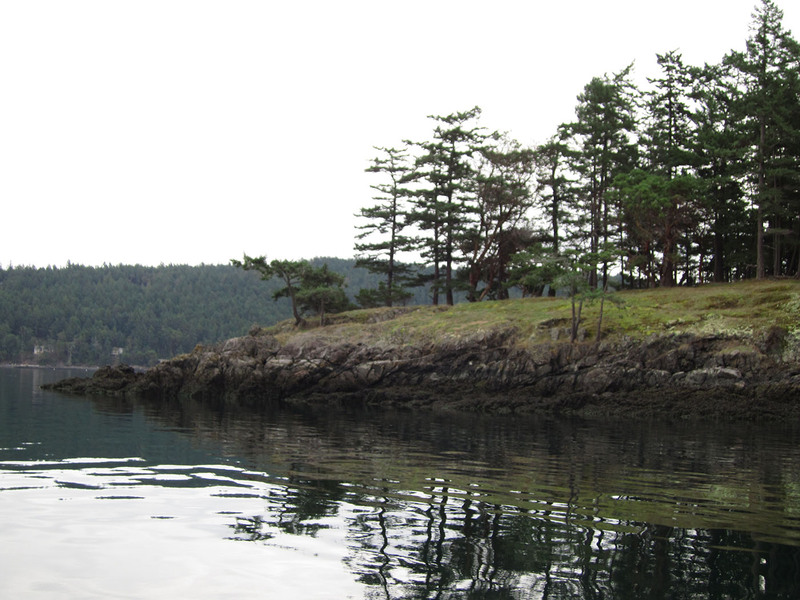 Once secured to our $10 a night buoy we rowed ashore to pay our dues at the drop box and hike around the island. This is a mooring buoy. Not only are they environmentally sound (repetitive anchoring in the same spot degrades the underwater habitat), but they also allow for more boats to “park” nearer to one another than at anchor. 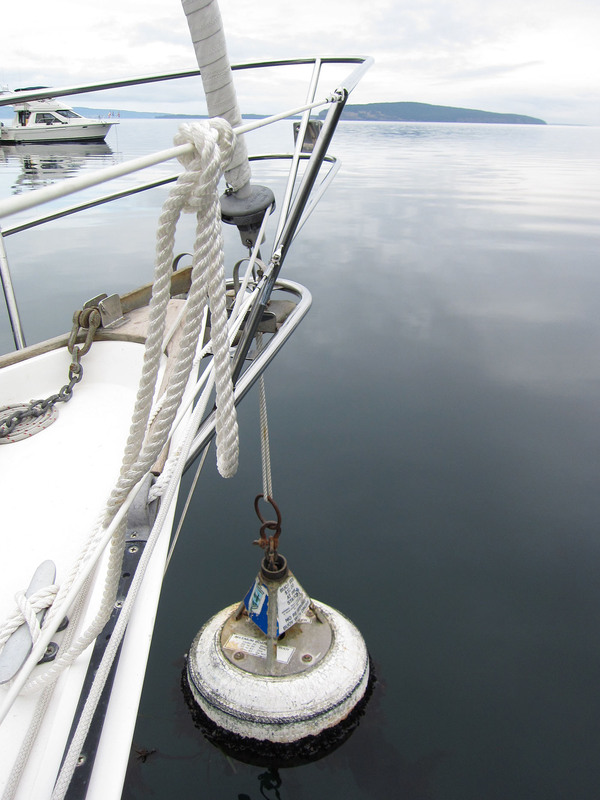 Because mooring buoys are tethered to the seafloor with an enormous weight, they have very little swing. 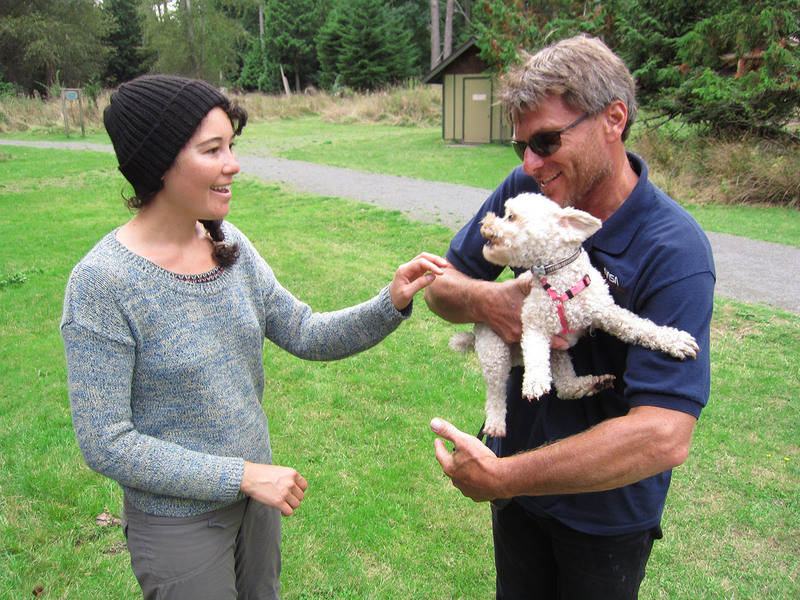 We walked up the main path from the dock and spotted an adorable and extremely barky mini-poodle named Rosey. I recognized her as being our neighbor from Friday Harbor a week before. On solid ground, I saw this as my opportunity to finally pet her but her teeth discouraged my efforts. 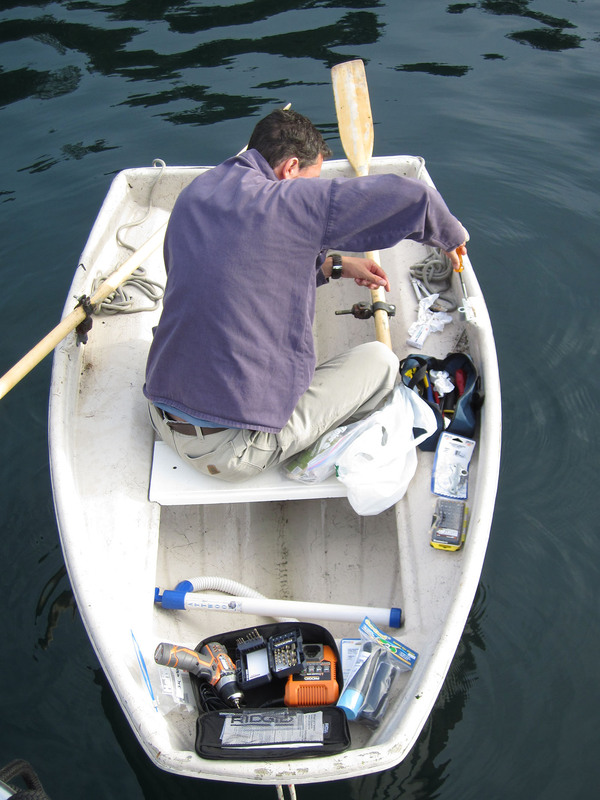 Jones Island was also a great opportunity for us (err…Nik) to get some dinghy chores done. Nik installed some new ore locks in his mobile workstation. Carmanita was getting a little beardy so Nik gave her a good scrubbing on shore. Jones Island was a fun place to explore! More on that in the next post! ← The Regional Assembly of Text, Victoria, BC.